I just wanted to write to tell you how happy I am with your Kidney Diet formula. 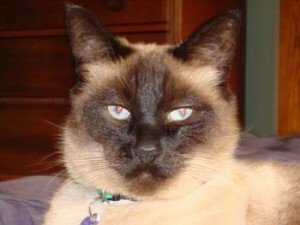 I have 4 cats and my oldest, a 14 year old Siamese, was recently diagnosed, (November 2012), with early stage kidney disease. I had just switched all of them to a raw homemade diet 10 months prior but I’m sure that a lifetime of dry kibble had already done it’s damage to my lovely boy, Solomon. Even though he had been eating a raw diet prior to starting the Feline Instincts formula, he still hesitated until he got his spoonful of canned food on top. The day he was diagnosed, I was on the internet searching for supplements or alternatives, since I refused to feed him that horrible Rx dry food from the vet’s office. When I found your website through a search on Google, I became very hopeful. I ordered the kidney formula and purchased a bottle of Standard Process Renafood from another source to get him started. I was worried that he wouldn’t eat it without the canned food mixed in but was determined to get him passed that old habit. I instead, used your suggestion of sprinkling it with some tuna water and that did the trick! He dove right it and licked his plate clean. Today, (March 2013), I got his numbers from the vet for his first blood work re-check and his BUN & Creatinine levels went down! His numbers are back down to the high end of the normal range. I am thrilled! My vet was surprised and apparently expecting a dimmer outcome. 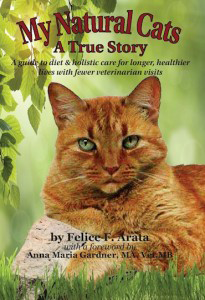 She is an allopathic vet, I unfortunately do not have access to a holistic vet near me. I should also add that he has never been given medication either, just your diet and the Renafood. I work at an animal shelter and will be singing your praises to anyone who is caring for an animal with this awful disease. Thank you so much for all the work you do and to help me keep my pets as healthy & happy as possible. Attached is a picture of my boy, (the love of my life), Solomon.